Prevents flexing through the center hole, which could cause dangerous stress to the leaves in this area. Prevents horizontal shearing of the center bolt. Achieving desired ride height and handling by ensuring proper spring stiffness. Diameter of rod thread. This is the diameter of the threaded portion of the rod. A common mistake inU-Bolt measuring is to measure the diameter of the rod instead, which is slightly smaller than the threaded portion. Inside Width. This is the distance from one inside edge of the U-Bolt to the other. It is not center-to-center or outside-to-outside. Inside Length. The distance from the end of one leg to the inside of the U-Bolt. This is essentially the length of one leg. This distance should be measured straight out, not along the curve. Shape of bend. This will be either round, semi-round, or square. The semi-round variety can be broken down further into a number of manufacturer-specific die shapes. 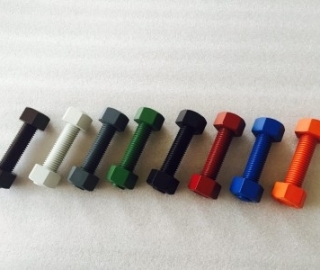 U-Bolts have specific torque values which are critical to follow. Please see our reference table for more information. 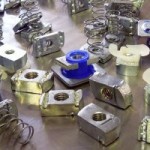 You must choose the correct U-Bolt shape for your application – round, semi-round, or square. Square will not substitute for semi-round, nor will semi-round work in place of round, and so on. Be careful when selecting your threaded rod diameter – The diameter is specified by thread size, which is slightly larger than the unthreaded portion of the rod. This is because U-Bolt rod is rolled, not cut thread. The tightening of U-Bolts should be done incrementally – switching frequently to the other legs of the set in a diagonal or criss-cross pattern. Because the spring stack settles, Re-torquing is necessary after about 100 km of use. 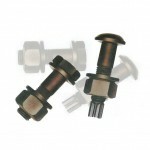 Further re-torquing may be necessary at later periods to maintain the stability of the spring pack. U-Bolts should never be reused. This causes a loss of torque, which, in turn, leads to spring breakage from flexing in the center bolt area. 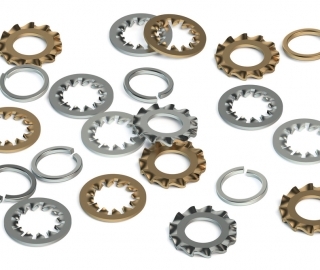 Lock washers or ordinary flat washers are not suitable for use with U-Bolts. The soft material is prone to compression, leading to a loss of torque. 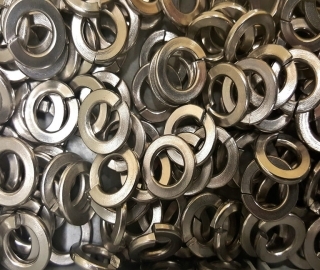 Only deep nuts and thick, hardened washers should be used on u-bolts.